Matt Schofield Golf Holiday Programme may be the upcoming event you’re looking for. 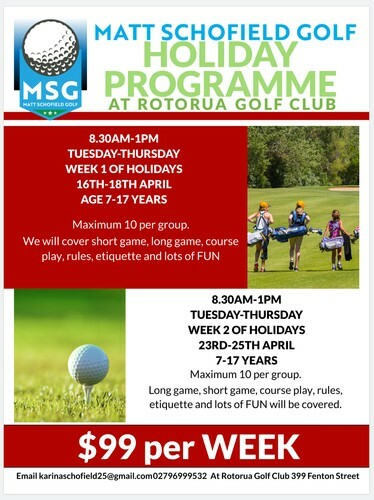 Junior Golfers Holiday Programme with Matt Schofield NZPGA Trainee. Covering short game, long game, course play, rules and etiquette and lots of fun! Suitable for children and teens aged 7-17 years. $99 for the 3 days.